This guest post is written by Sinead, a travel-loving British mum of three children and founder of the blog Map Made Memories. She travels with her family as much as possible, independently and on a budget. 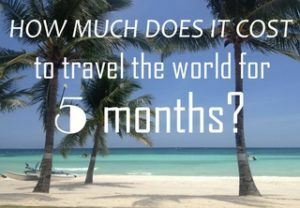 Currently they visited 31 countries as a family of five and have no plans on stopping yet! Located in the north of England, Yorkshire is England’s largest county. It is divided into four administrative districts – North, South and West Yorkshire and East Riding of Yorkshire – with the historic city of York at the center of the county. The region offers diverse landscapes from high, rocky peaks to river valleys, barren moorlands, pretty waterfalls and windswept coast. It boasts buildings and ruins from Viking, Roman and medieval times with historic sites such ancient abbeys, cathedrals and stately homes. Long story short: Yorkshire is packed with family-friendly attractions to suit all ages! Transport: how to get to Yorkshire? First things first: how do you get to Yorkshire? If you plan to fly, Leeds Bradford Airport in West Yorkshire is an international airport with good transport links to the major cities of the area. By train, Yorkshire is only two hours from London and just under three hours by train from Edinburgh. There is an extensive rail network around the county – even small villages can often be reached by train. There is also an excellent bus network throughout the county for both short and long journeys. The popular Coastliner route from Leeds/York across the Moors to the coast at Whitby was recently voted Britain’s Most Scenic Bus Route. However, to visit the most scenic spots of Yorkshire, a car is recommended. Check rental prices here. 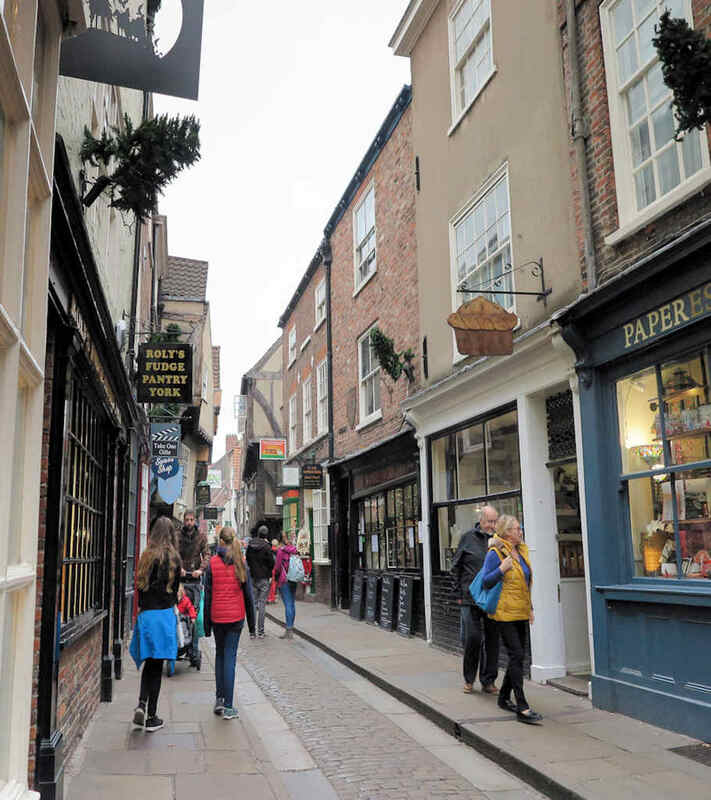 A perfect base for a visit to Yorkshire is the historic city of York, ideally nestled in the middle of the county between the Yorkshire Dales and the Yorkshire Moors. York is a compact city with a rich, historical heritage. The city centre is small and easily navigated on foot making it an ideal location for a trip with kids. York Minster is a stunning, Gothic cathedral that towers over Yorks city skyline. There are tours daily and family tours every weekend. Discover the beautiful nave, the eerie crypt and the breathtaking, stained glass windows. Children can borrow Explorer Backpacks with age-appropriate trails plus other useful items such as binoculars and a mirror. Children over 8 (if accompanied by an adult) can climb up the narrow staircase to the Minsters’ central tower for a fantastic view of York. York’s historic city walls are two miles long and are the longest city walls in England! The walls are free to access and give lovely views of the city. Important note: there are several steps and unfenced sections, so care needs to be taken with very young children! The Shambles: this short, cobbled street gave J. K. Rowling the idea for Diagon Alley in the Harry Potter series. In medieval times, The Shambles was the location for the city of Yorks butchers shops and you can still see meat hooks hanging above the ledges where the raw meat was once displayed. Pick up a free Cat Trail here to spot statues of cats hidden all over the city. Clifford’s Tower is the remains of a Norman castle or ‘keep’. Kids will love the medieval games they can play on the floor of the open keep. Climb a set of narrow winding stairs to the top of the keep for a 360-degree view of York. Opposite Clifford’s Tower is the York Castle Museum. Educational and creative exhibits range from recreated living rooms through the ages, to a toy gallery, to York in World War I and II. The museum is most famous for its recreated Victorian shopping streets complete with shops and shopkeepers. Kids will love the sweet shop! The Jorvik Centre is one of York’s most popular tourist attractions. Known to locals simply as ‘Jorvik’, the centre displays Viking artifacts found on this site. Pro-tip: kids will love the ‘cab’ ride through a life-size Viking settlement which portrays life in York during the Viking era. The free to enter National Railway Museum is a must do attraction for any family trip to York. The museum is huge and has full-size engines and carriages on display including Stevenson’s ‘The Rocket; a Japanese Shinkansen and a section of the Channel Tunnel. Kids will enjoy the free daily science shows and the chance to ride a miniature train or a steam train. Try to stay as close as you can to the city center to maximize your time and minimize the need for public transport or expensive parking. There are accommodation options ranging from Youth Hostels to the five star Grand Hotel. A good option for families is the centrally located Travelodge or Premier Inn chains. These budget chains have good value family rooms and often include breakfast. Click here to book the Travelodge in York or to book the Premier Inn in York. Don’t miss a visit to Bettys Tea Rooms, a York institution. Enjoy a cup of Yorkshire Tea with a Fat Rascal, a delicious cherry and sultana cake. Or indulge in home made chocolate, cake and hot chocolate at York Cocoa House. If you want to explore the area around York, North Yorkshire is packed with historical sites, adventure trails and outdoor playgrounds. 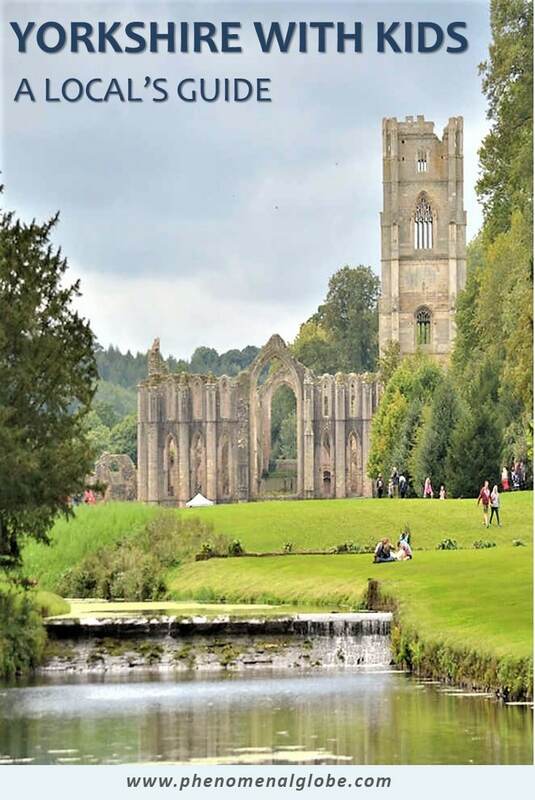 Kids will love the wide open spaces and follies at Fountains Abbey ruins or paddling in the river at Bolton Abbey ruins. Enjoy a woodland walk and the beautiful fountains at Castle Howard. The Yorkshire Moors is a windswept, barren landscape which offers expansive views and walks to suit all ages and abilities. You can explore the Moors via a steam train ride from Pickering to Goathland. Fun fact: Goathland Station was used as Hogsmeade Station in the Harry Potter movies! Fossil mad kids should visit Ravenscar beach to search for ammonites and belemnites. Surfers can head to windy Cayton Bay. Avid bird watchers flock to Flamborough Head during the puffin breeding season. Important note: there is significant cliff erosion at some of these beaches so heed signs of where you can go and when. Visit the quaint, fishing village of Robin Hoods Bay, a tangled maze of sloping cobbled streets and tiny cottages. Further along the coast is Whitby, famous as Dracula’s landing place in Bram Stoker’s gothic novel. The fishing town retains a charming port and has a long, clean stretch of sandy beach. There are great views of the town from the cliff top ruins of Whitby Abbey. For a taste of a traditional British seaside holiday head to Scarborough to build sandcastles, paddle in the sea and ride the funfair. The Yorkshire Dales will give you a new, jaw-dropping view at every turn of the road. Visit Hardraw Force, Britain’s highest waterfall, or pretty Aysgarth Falls or Ingleton Falls. Kids will love a trip underground at Stump Cross Caverns. Adventurous families can climb the steep steps to the top of the rocky amphitheater of Malham Cove. This is not a buggy friendly walk but the view over the Yorkshire Dales is magnificent! Our kids love to visit the unique and quirky Forbidden Corner, an enormous landscaped garden full of follies, hidden passages, tunnels, underground chambers. Prepared to be surprised – there is always something new to discover at The Forbidden Corner. Many Bed & Breakfast locations have family rooms allowing you to stay in scenic, quiet spots or even on a farm. Or consider a rural youth hostel, such as YHA Malham Cove. This hostel has private rooms, and camping pods. For something completely different, why not stay at England’s highest pub, the 17th Century Tan Hill Inn! No trip to the coast would be complete without takeaway fish and chips wrapped in paper! A walk in the Dales could be rewarded with delicious ice cream from the justifiably popular Billy Bobs Ice Cream Parlour. Hull is a bustling, modern city known for its iconic Humber Bridge and many excellent family-friendly museums. Kids will love exploring transport through the ages at the free Streetlife Museum of Transport. Our favorite thing to do in East Riding is to visit The Deep. This massive aquarium houses over 5,000 animals incorporating 300 separate species. The Deep is committed to conservation and also organizes conservation activities on the nearby coast such as beach cleans. Looking for more family travel posts? Also read these (local) guides to Athens, Delhi, Ocho Rios (Jamaica), Prague and Sydney with kids. Cosmopolitan Leeds is the biggest city in the region. It is home to several shopping centers, the excellent Royal Armouries Museum and the engaging Leeds City Museum. Roundhay Park in the city center is one of the biggest parks in Europe. Here you will find Tropical World, the highlight of which is the amazing Butterfly House. Inquisitive, colorful butterflies will land on you if stand still long enough! For something completely different, visit The National Museum of Coal Mining in nearby Wakefield. Kids over 5 will enjoy donning a hardhat and going 140 meters underground to learn about life as a coal miner. Don’t miss the brilliant Eureka! The National Children’s Museum in Halifax. This fantastic museum focuses on learning through play and just about every exhibit can be explored through touch. We particularly like the section all about human bodies! You can easily spend a whole day here. One of the best outdoor adventure playgrounds in the region is at Harewood House near Leeds. The park also includes an enormous bird garden with penguins. Leeds is packed with self catering apartment options but for those who prefer hotels, there are affordable family options such as Ibis and Holiday Inn Express. Click here to book a room at the Ibis or to book the Holiday Inn Express. For a child friendly menu visit The Tetley, a family friendly restaurant housed in an old brewery, which is now an art gallery! Our favourite place to visit in South Yorkshire is the huge Magna Science Adventure Center in Rotherham. If your children do not like the noisy, dark interior of this ex-steel factory, head outside to the outdoor water park Aqua Tek. Remember to bring a change of clothes! Animal-loving families will enjoy a day trip to the Yorkshire Wildlife Park. It has over 400 animals, including the only polar bears in England. There are so many family-friendly attractions in Yorkshire that whatever the weather, you will be spoiled for choice! I recommend to stay at least a week, so you can (try to) visit a significant amount of the Yorkshire highlights mentioned in this post. Previous Post: « 7 Amazing Islands In Southeast Asia You Must Visit!